Avg. Group Discount of 17.3%! I stayed here with a big group on a business trip and was amazed by the service of the hotel. Everyone was so accommodating and helpful, I can't express enough. We will definitely stay here in the future and I thank the Envoy ! 10-May-2018 Verified Review, stayed from Mon May 07 to Fri May 11 2018 at a $499.00 group rate (20% discount). 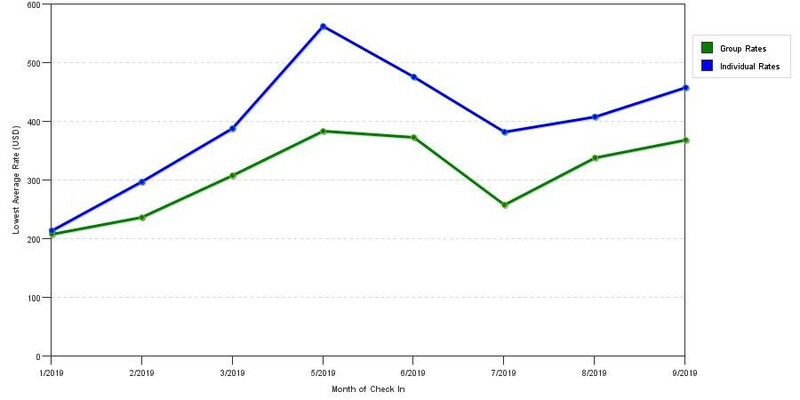 The graph above is fluctuations of room rates for both our group quotes and the lowest online individual prices we could find at the time the group/meeting offer was entered. The best group or meeting displayed is 32.4% in the month of July 2019 and the highest average individual rate is $578 in the month of May 2018. This chart will show past seasonality and also project future months. 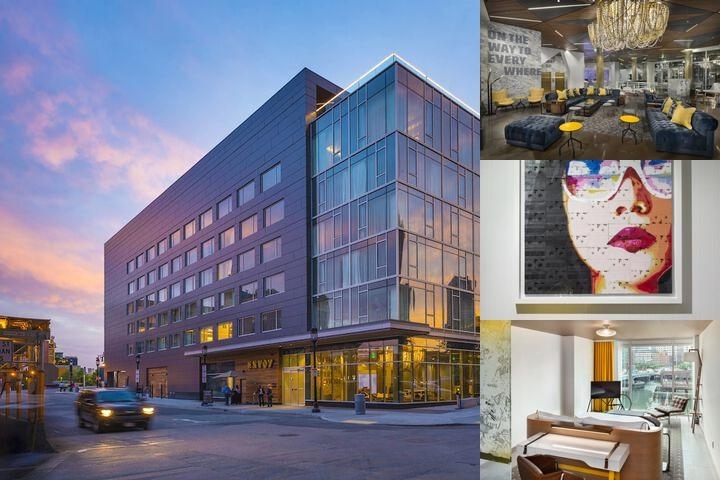 If you are flexible with dates, you may want to consider staying at Envoy Hotel in a month when rates are lower.